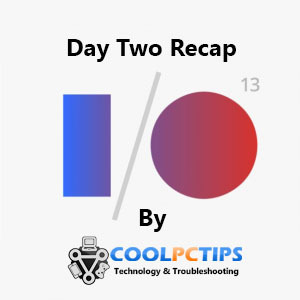 Continuing from our Google I/O 2013 Day One recap, here’s what happened on day two! Quite unlike the last I/O conference where a lot of new hardware was unveiled, including the Nexus 7 , the ill fated Nexus Q and of course, who could forget the elaborate reveal of Google Glass? The second day of the conference was quite eventful for Google Glass owners and developers, and also finally let us see what’s the progress on the Blink rendering engine. Here’s all you need to know in our Google I/O 2013 Recap of day two! 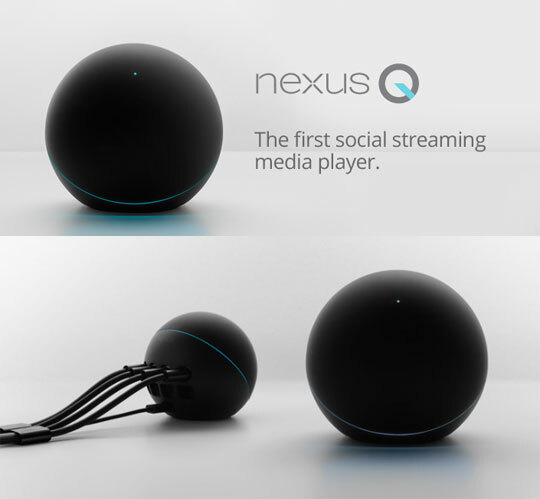 The little media streaming cube from Google was probably the only hardware release of theirs that bombed, and Google announced that the new Google Play Music service will not be compatible with the Nexus Q. YouTube and Play Movies will still work, but it’s unfortunate that support was dropped so early. Similar to Facebook’s online games, Google+ also had a couple of games you could play online. With the introduction of Google Play Games, these online games are going to be shutdown come June 30. You will be able to play most, if not all games in other places, so if there’s something you really like you don’t really have to give it up. Google will provide information on where you can play these games and also all doubts about previous game transactions will be clarified. 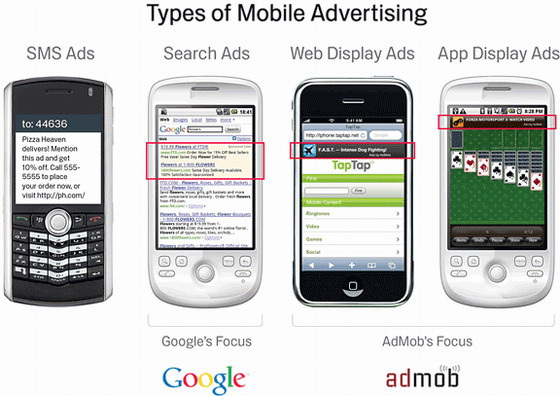 Similar to AdWords on desktops, AdMob is the service used by mobile developers for monetization by ads. It was an independent company acquired by Google in 2010, and we’re finally seeing a new set of tools for developers to use in their apps. AdMob has been integrated with AdWords, and this rebuild will make it much more efficient and easier to display ads. As announced on day one, Google+ Hangouts, the replacement for Google Talk is set to reach one more platform and also gets a new feature. In their effort to unify conversations into one app, Google announced that text messages will also appear in Hangouts just like normal messages, something like how Facebook messages and text messages are integrated in Facebook Home. However, this should work only on Android, since iOS permissions are closed. Google Glass will also reportedly get the Hangouts app, but more details and capabilities have not been revealed. Considering that Glass won’t make its way to consumers until early 2014 or so, there’s not much rush to get the app out anyway. Until now there weren’t many third party apps on Google glass save for New York Times and Path. A whole bunch of third party apps was released today which makes the device even cooler. 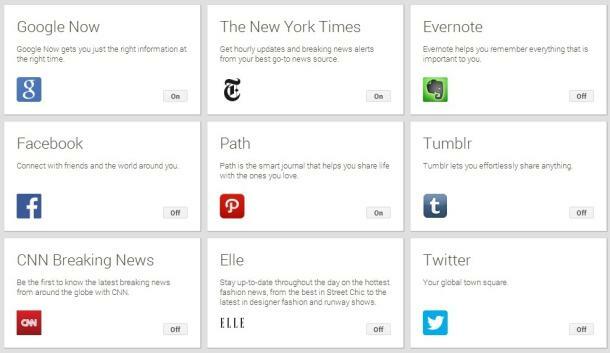 The apps released are Facebook, CNN, Evernote, Twitter, Tumblr, CNN and Elle. Hot on the heels of the Android Studio announcement yesterday, the Google Glass developer kit was revealed. It’s a critical piece of the puzzle in making Google Glass consumer friendly. Now that the dev kit is out, we can expect more apps that make the most of the unique hardware. The Google Glass Developer Kit does much more than the current Mirror API and should be available in the following months. While the next version of Android wasn’t announced, one of its features was. The next iteration of the world’s most popular mobile operating system will include support for Bluetooth Low Energy, which allows a constant Bluetooth connection without using as much power and at a lower cost. This is a great new innovation that will allow devices to be always on and constantly monitor desired parameters, such as heart rate monitors, proximity sensors and more. 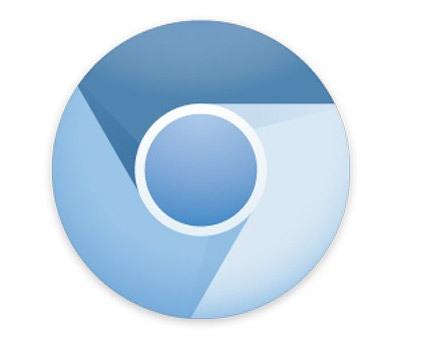 In a surprise announcement last month, Google said it would stop using the WebKit engine for its Chrome browsers and instead make a new one of its own called Blink. This open standard is based on WebKit for now, but will apparently go in different directions in later stages. On day two we came to know that 8.8 million lines of WebKit code was removed and they’re making positive progress on Blink. Google’s aim is to create a simpler, faster and more open rendering engine with Blink. However, there’s no word yet on when it will go live. Day two of Google I/O 2013 is done and one more to go! Stay tuned for more updates and let us know what you thought of our Google I/O 2013 recap of day two!